Time to give up what you’re doing? Edel called me from Dublin to say that the guy who was sent from Viking to assemble the furniture for the new office was grumbling, moaning, huffing – he would be back the next day to start the job! We finally managed to get the keys for new office and now we had to kit it out. 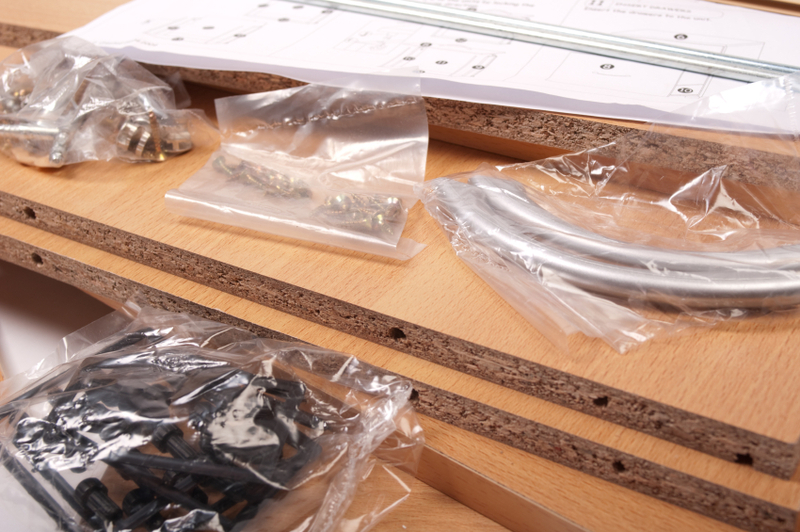 Viking is a great option with their wide range of furniture at reasonable prices but I’ve learnt the hard way that the assembly of the furniture is a big undertaking – even the smallest pieces can be more than awkward. I had thought that finding someone to do this was going to be difficult but much to my relief it turns out that Viking were now providing this service as part of the package – major phew! However it looked like Mr Assembly might be hard work .. I joined Edel in the office the next morning and she gave me a “look” as Mr Assembly and his co-worker could be heard inside the adjoining room grumbling, moaning and huffing about the task ahead. I made an attempt at cheering up our happy friends by buying them coffee early on but the effect seemed to wear off quickly. It was clear that we would have to tip toe around these boys. Suggesting our preferred height between shelves was just about digested. They reckoned they didn’t have to assemble the smaller desk units – Dee’s suggestion of a clarification call to Viking seemed to sort out that one and when I asked them if they would be taking away the packing materials it was if I said something really horrible about a close relative! I had to leave before they finished up so I told them there was a few quid in it for them if they managed to take away the packing materials. I thanked them both for their work and the quieter of the two wished us the best of luck in the new office. That was nice. Edel called later when the job was done – our happy men took half the packing materials away and once all the units were assembled they refused to push them into position in the office “We assemble things, we don’t move them” – Nice! Edel who lacked the energy to cajole them took just 5 minutes herself to pull and drag the desks and cupboards from the middle of the room to where she wanted them. I wondered about our two happy men. I have no doubt that they were on a tight fee to complete our assembly job but very early on they made a choice about what mood and persona they were going to bring with them to work including a clear decision to do as little as possible. Were they totally miserable doing this work, was something awful going on in their lives, were they treated really poorly by the last crew they assembled furniture for, were they being treated badly by Viking or by nature are they just grumpy people? Whatever was going on with them they were miserable and brought this misery with them this day. If this is how you feel at work is it time to give up what your are doing? This entry was posted on March 29, 2014 at 6:21 pm and is filed under Customer Care, Motivation, Positivity. You can follow any responses to this entry through the RSS 2.0 feed. You can leave a response, or trackback from your own site. If you don’t know how to smile don’t open a shop! a good point jenny ! I must say you were very cool during this! I’m a relaxed enough person myself but I think this would have pushed me over the edge as I just can’t stand this type of behaviour.Hard to know what was wrong here, but I came across a disturbing statistic recently which says that over 80% of us are in jobs we shouldn’t be in. As for these guys then should be taken, in Walton’s Mountain fashion, to the woodshed. It’s a real pity because these guys could have chosen a different attitude to bring with them to work and actually had a pleasant day ! Well, one things is for sure, the world won’t change to please you, you must change your response to circumstance first. Your friends there were obviously having a bad time of it but IMO it’s down to attitude. Resistance to a thing never clears it up, it only compounds it. At the same time, if you don’t love what you do you’ll never make a success of it no matter how hard you try. In fact trying harder will only make things more uncomfortable. I know this only too well. Life is short, it’s gone in a flash, out job is to be happy so if we don’t find happiness in what we are doing then we must change. great post Larry – you are right.If you are not happy you just have to get the hell out !